The first Sharpie pen. Will not bleed through paper making it great for note taking and letter writing. Smear resistant when dry, permanent on paper with acid-free, water-resistant ink. The Sharpie pen delivers bold and vivid colours. 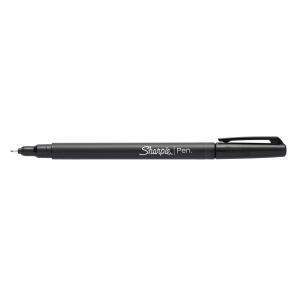 Sharpie Pen Fineliner Black is sold individually. For a full box, please order 12.